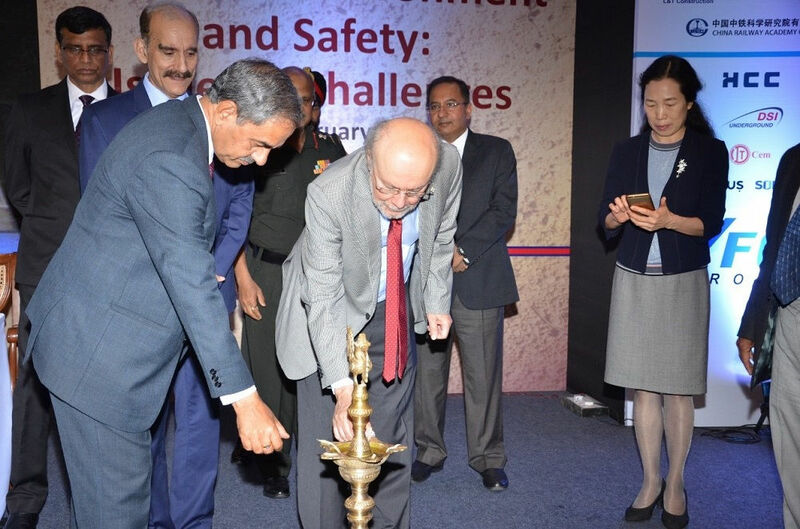 Prof. Tarcisio Celestino (center), ITA President and Prof. Jenny Yan (right), ITA Vice President, inaugurated TA 2019 Conference by lighting a lamp. About 300 professionals from various countries such as Austria, Brazil, Singapore, Hongkong, China, Germany, Malaysia and India participated in this event. 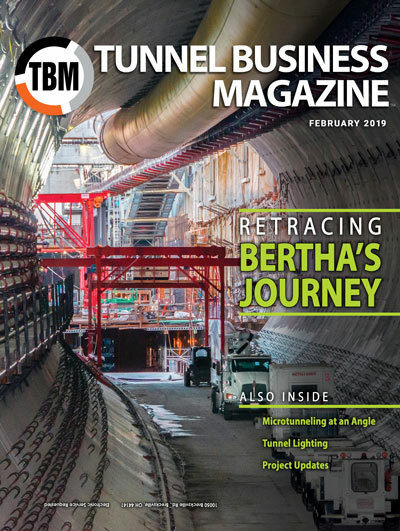 A Workshop on “Conventional Tunneling: Issues and Challenges,” was also organized prior to the conference, on Feb. 25-26, 2019 for the benefit of professionals who are involved in the execution of tunnel and underground works at different projects. India is one of the fastest growing markets for tunnel construction due to various infrastructure projects underway throughout the country. 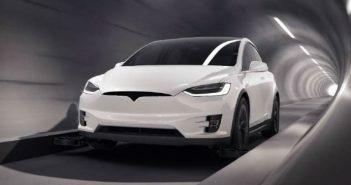 A total of 1,900 km of tunnel length has been constructed so far, and about 3,000 km is either under construction or planned for the future. 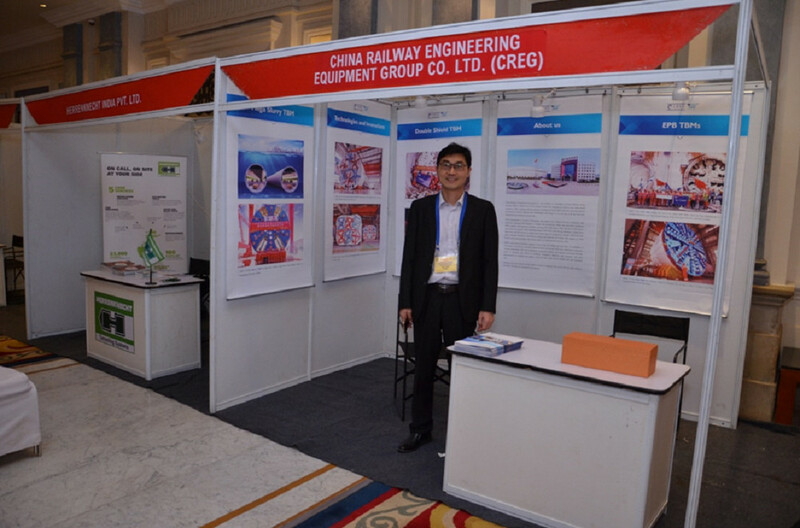 The exhibition, which was part of this conference, consisted of about 20 stalls exhibiting various products and innovations in the tunneling technology. Keeping in view the importance of the event the ITA President Tarcisio Celestino and Vice President Jenny Yan participated in the deliberations of the conference and shared their vast experiences on the different aspects of Tunneling and underground space development with Indian underground professionals. This was a good opportunity for the professionals to interact with international experts in this field. 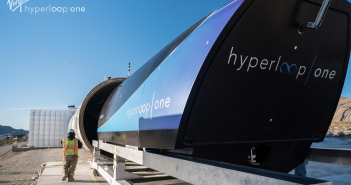 Several young members of ITA got ample opportunity to gain from the experiences of experts from India and abroad and use the knowhow for the economic development of underground space. Contracting companies and tunneling engineers were recognized for their outstanding performance and contribution to tunneling industry. Environmental Initiative of the Year Award was presented to IL&FS Transportation Networks Ltd. For Environmental Initiative implemented in the execution of Chenani Nashri Tunnel Project in Jammu and Kashmir. Tunneling Project of the Year Award for successfully facing the challenges in the execution of Tunnels in Kishanganga hydroelectric project, was presented to NHPC Ltd.
Mr. V.K. Kanjaliya, Secretary General of Tunneling Association said that the splendid response the participants and exhibitors has made this conference successful and given boost for India’s bid to host World Tunnel Congress 2022. This report was contributed by Prof. Dr. Sandeep Potnis, MIT World Peace University, Pune, India. 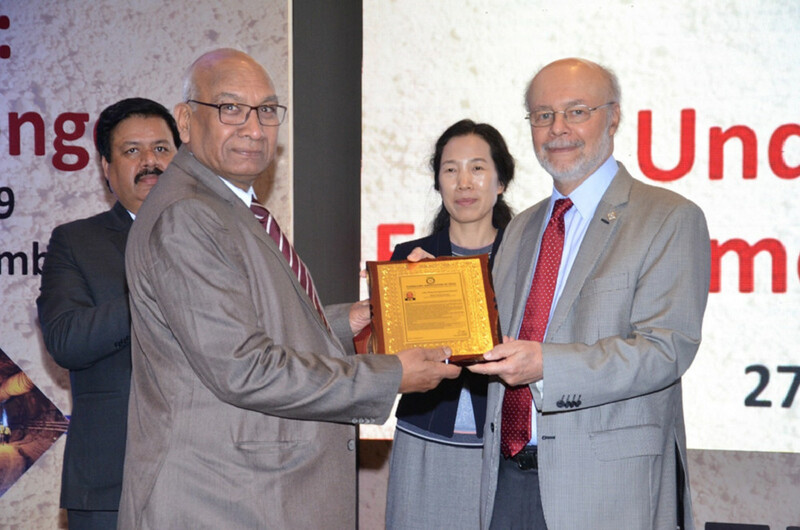 Lifetime Achievement Award was presented to Mr. Vinod Kumar, Former Executive Director, Konkan Railway Corporation Ltd for his significant and outstanding contribution in construction of tunnels in challenging conditions. 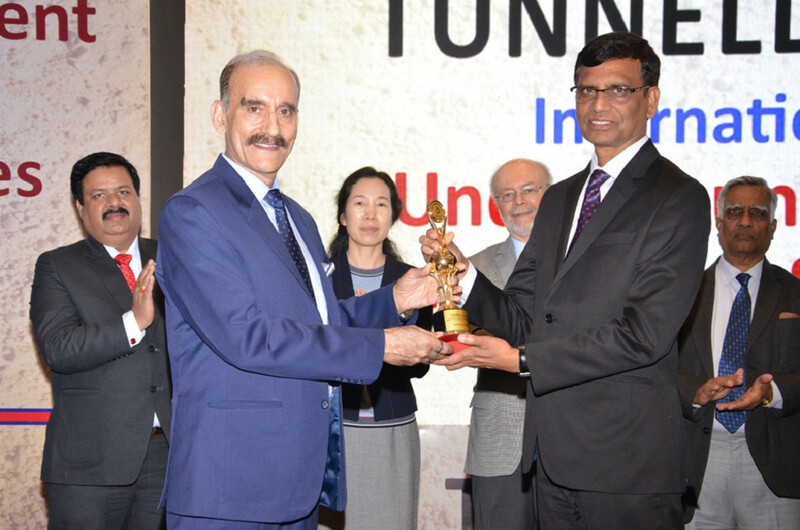 Tunneling Innovation of the Year Award was presented to Delhi Metro Corporation Ltd for using RCC box pushing method for construction of cross passage in soft soil tunnels. 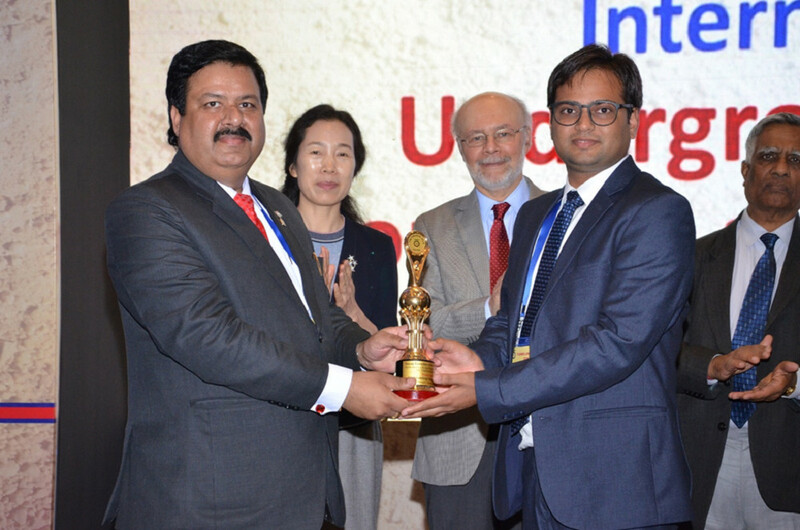 Young Tunneller of the Year Award was presented to Mr. Sandeep Singh Nirmal for his outstanding and significant contributions to Tunneling industry.